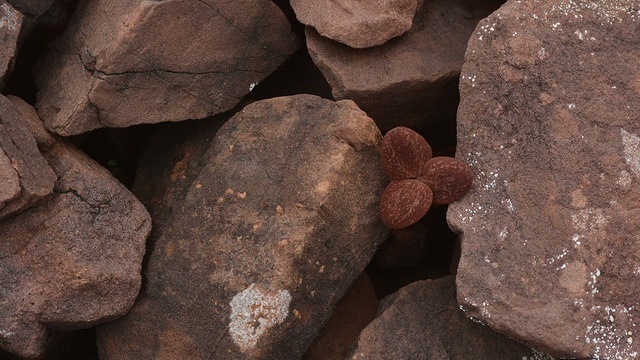 In the high mountains of China, Corydalis plants can be found with leaves that are coloured like stone. 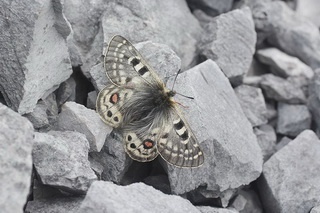 That is no coincidence: plants without a stone colour are easily detected by butterflies and devoured by caterpillars, show Yang Niu and colleagues. 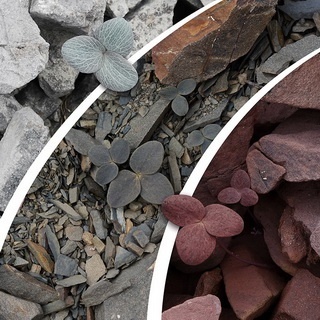 The leaves of the alpine plant Corydalis hemidicentra don’t have a fresh green colour; instead, they have the colour of stones: they are either dark grey, reddish brown or greyish green. That is unusual, but it is for a good reason. 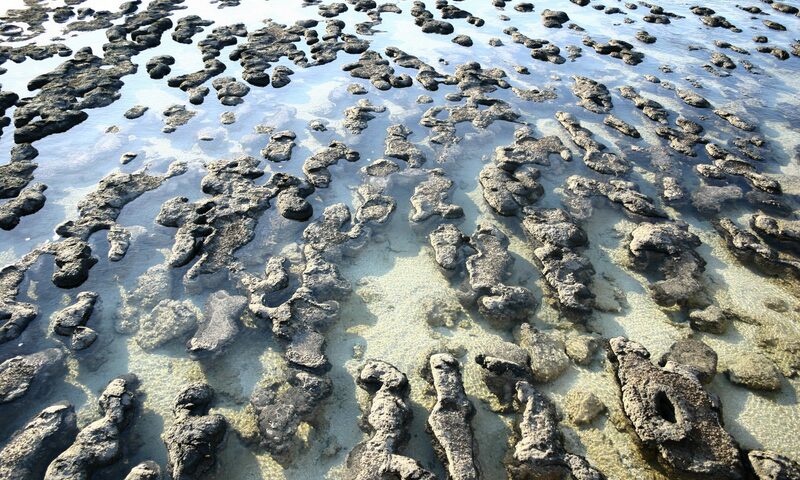 The plants grow on bare and open stony ground in the very high mountains of southwest China. A normal green leaf colour would attract plant-eating insects, while a cryptic colouration protects the plants from herbivores. The main enemies of the mountain plants are Apollo butterflies, such as Parnassius cephalus. Butterfly females search for a Corydalis plant, which they locate visually, and lay their eggs on the rocks next to it. After emergence, the caterpillars find their meal ready to eat and they consume the plant almost completely. The colour of the leaves of Corydalis hemidicentra almost always match against the background: where the rock is grey, the leaves are grey too; reddish brown plants grow on reddish brown scree; and greyish green plants are found among greyish green stones. Yang Niu and colleagues show that the colour of the plants is similar to the background colour not only to our eyes, but also to butterflies’ eyes. The cryptic colouration arises because the leaves not only contain green pigment (chlorophyll), as normal, but also red pigment (anthocyanin) and air-filled spaces that are white, and the leaf colour is genetically determined. Previously, Niu had studied another alpine plant, Corydalis benecincta, of which a green and a grey morph exist. He had found that Apollo butterflies detect the green plants much more easily, and as a the consequence, most green plants are damaged by caterpillars, while grey plants often escape. When plants escape from the enemy, their colour is unimportant: greyish green plants perform as well as green plants. Also in Corydalis hemidicentra non-camouflaged individuals will disappear by herbivory, while camouflaged plants survive. That is why the leaf colour of the plants matches against the background. While camouflage makes the plants invisible for butterflies, they need to be found by pollinators. Thanks to the strikingly coloured flowers – light blue in Corydalis hemidicentra, purplish pink in Corydalis benecincta – they are easy to find to them. But those flowers don’t appear until the plants are no longer at risk, that is: after the period when butterflies are laying their eggs. So, not only many animals are camouflaged against their surroundings, but there are also plants with background matching leaves, especially in bare mountain areas. In a well-grown area, plants that are attractive to herbivores are camouflaged best by a normal green colour.